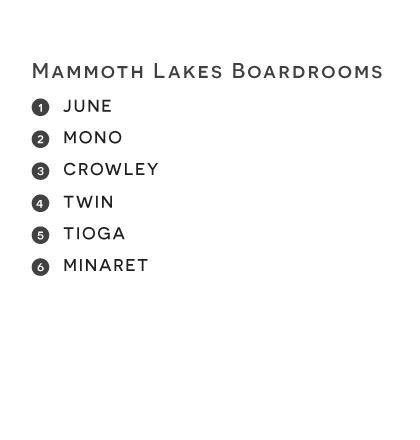 The range of room sizes makes these six Mammoth Lakes Boardrooms ideal for any meeting, comfortable for anywhere from 8 to 20 people. 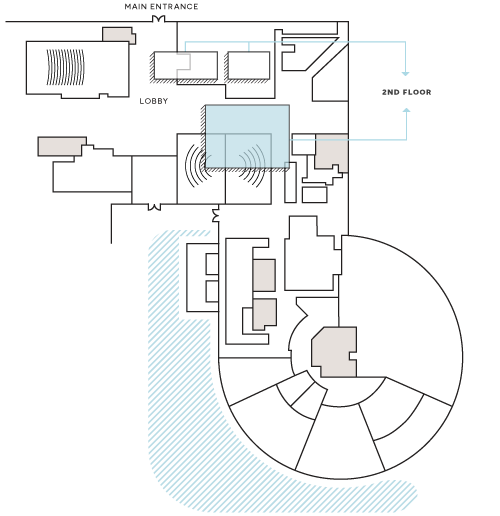 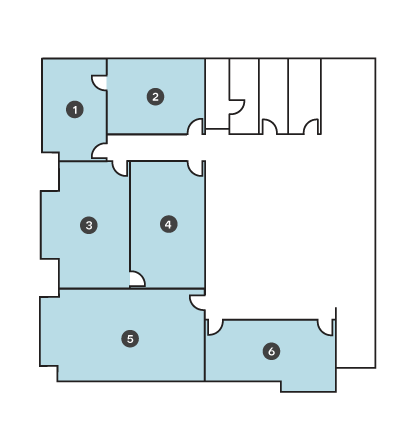 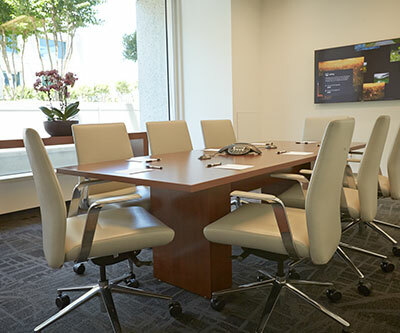 A shared amenity lobby with lounge seating and countertop communal work area with built-in electrical and USB plugs enhances the utility and convenience of the space. 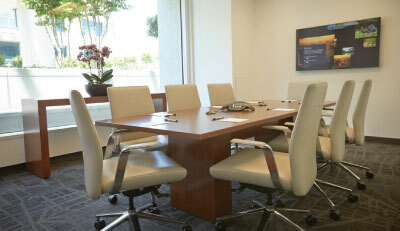 This executive-style boardroom seats 10 at a fixed conference table with swivel desk charis. 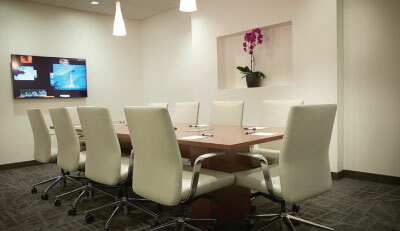 This intimate space seats eight comfortably in swivel desk chairs at a fixed conference table. 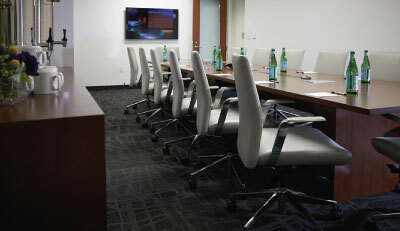 The Crowley provides conference seating for 16 at fixed conference table with swivel desk chairs. 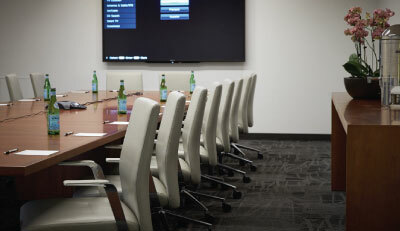 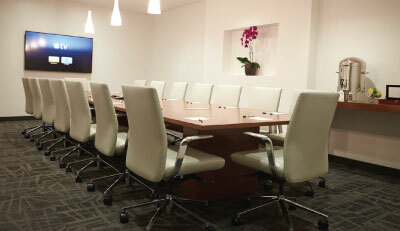 The Twin executive boardroom features a fixed table with swivel desk chairs and conference seating for 14. 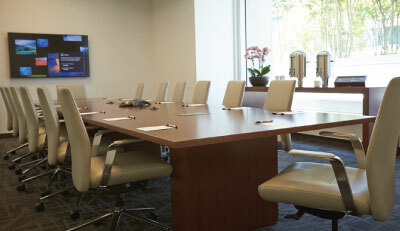 The Minaret executive boardroom accommodates up to 16 at a fixed table conference table with swivel desk chairs.